Project was 3d printed and tested (watch pictures). Dimensions: 45 x 75 x 12 mm. 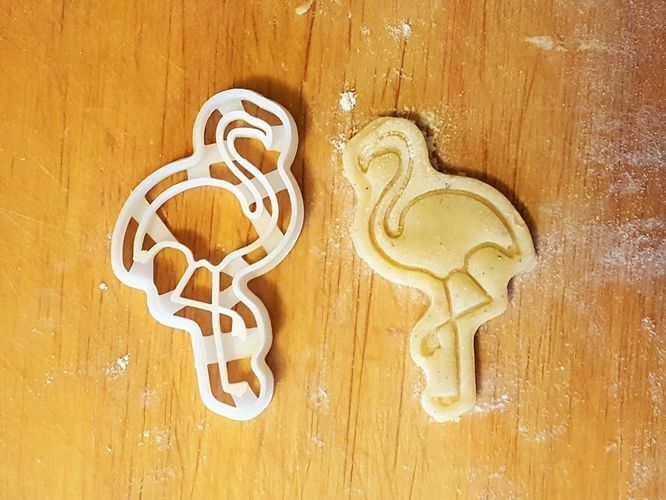 Formats included: stl, obj, igs, stp, skp, 3ds, 3dm Additional: picture of manufactured cookie cutter with a formed dough, picture of baked cookie, render of 3d model with render of a formed dough (textured).